Eye alignment problems are common, especially in children. If you've ever tried to have a conversation with someone with an eye turn or eye alignment problem, you may remember wondering which one of their eyes you should fix your gaze upon. Eye alignment problems, such as diplopia and double vision, are usually caused by an inability of the eyes to work together. Eye teaming problems can be caused by phorias and tropias. Your eye doctor might speak of eye problems such as phorias and tropias. These terms are used to describe eye muscle deviations. A tropia is a misalignment of the eyes that is always present. Even when the eyes are both open and trying to work together, large angle misalignments are apparent. A tropia is the resting position that your eyes go to when covered or when fusion is broken by repetitively alternately covering each eye. A tropia is easily seen by a doctor conducting a cover/uncover eye test. A phoria is a misalignment of the eyes that only appears when binocular viewing is broken and the two eyes are no longer looking at the same object. The misalignment of the eyes starts to appear when a person is tired, therefore it is not present all of the time. A phoria can be diagnosed by conducting the cover/cover test. If these terms seem confusing, consider two types of people that may come to the optometrist complaining of double vision. One person comes in and complains of double vision and one eye is completely turned in and crossed toward the nose. The eye never straightens up and is always turned it. It is quite obvious because it gives a crossed eye appearance. This person has a tropia. Another person may come to see the optometrist and states that lately, they have been getting tired in the evening and they feel eye strain. Sometimes, they even may see double when watching TV. This person probably has a phoria. It sounds as if it presents itself, only when fatigued and when the person is unable to compensate for the deviation. Eye doctors categorize phorias and tropias by direction. Eye doctors also categorize them as right eye or left eye or alternating between the eyes. They can also be labeled intermittent or constant. What Causes a Large Phoria or a Tropia? Phorias or tropias can be caused by a variety of factors. 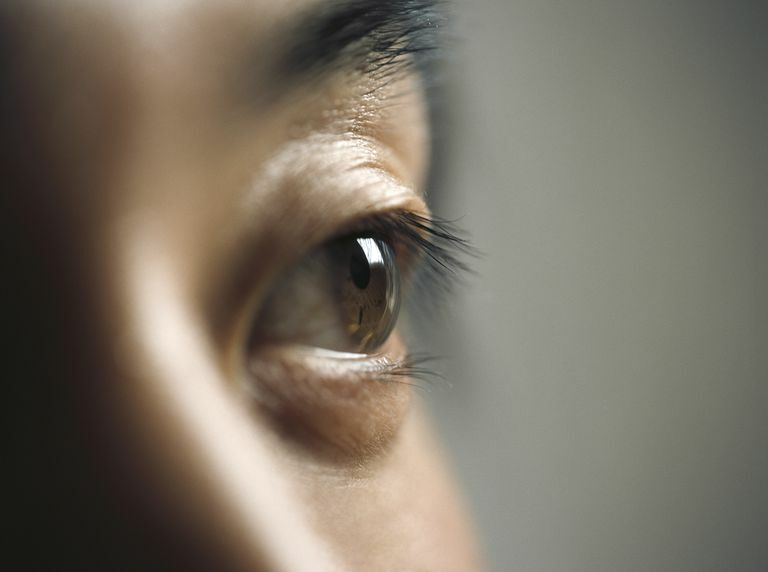 One of the most common causes is having a large amount of hyperopia or farsightedness. When young children have high amounts of farsightedness that is undiagnosed, they struggle to see clearly. To compensate, they focus extra hard. Because the focusing system and the eye muscle converging system are tied together, something gives. Their brains either decide to see clear, but one eye turns in or they decide to see blurry and the eyes stay straight. This is abnormal and they may develop an esotropia. This circumstance describes what is called an accommodative esotropia. Your eye doctor may want to measure the alignment of your eyes. During the cover test portion of an eye examination, your eye doctor will alternately cover and uncover your eyes while you fixate on a target. If your eye moves upon being uncovered, you have a phoria. A phoria is a latent deviation, or misalignment, of the eyes that is only apparent some of the time. We all have a normal phoric resting position. Some people have a larger than normal phoria that they may be able to compensate for most of the time. However, because the phoria is much larger than what is considered normal, they cannot always compensate for it when fatigued. As a result, their phoria may manifest itself and become a tropia. If a large amount of phoria exists, your eyes are not aimed at the target while at rest. Keeping both eyes fixated on the target requires an effort by you, possibly causing eyestrain or headaches.